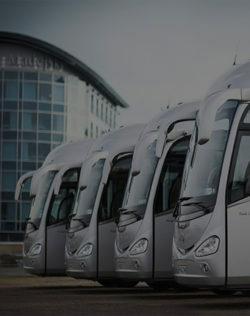 If you are looking for coach hire, including Epsom coaches in Surrey, Greater London, or further afield, then hireyourtransport.com has a selection of luxury coaches fully equipped with toilet facilities, air conditioning, and safe and comfortable seats. Our coaches are able to seat parties of 40 upwards and we have double decker buses that can accommodate up to 72. We are experts in the planning and logistics for larger groups and have experience providing multiple vehicle transport for groups of 500 plus. We are the number one choice for collecting groups of people from Gatwick and Heathrow airports, thanks to our convenient location. We are also ideally situated for days out at Epsom racecourse and other Surrey points of attraction, trips to the coast, as well as sight seeing trips and travelling up to London. For coach hire in London, we are experts in navigating the bustle of the capital. We will get you to your destination on time and stress-free. If you’re looking to hire a luxury coach, our coaches are all kept in tip top condition, both inside and out, and provide passengers with style and unsurpassed comfort. Your company will be well represented arriving in one of our coaches, which are all maintained to the highest standard. Whatever your coach charter needs are, get in touch with us to discuss them, and we will provide you with a free no obligation quotation. We aim to accommodate your plans, and are incredibly flexible in terms of the destinations we will travel to, day or night, and the amount of vehicles we can hire out at once. Hire Your Transport are the only people you need when organising coach hire.